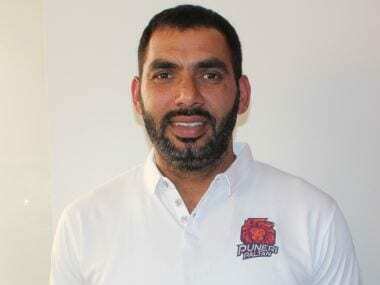 Preview: The opening game of a fascinating weekend in Greater Noida sees Puneri Paltan battle U Mumba for the third time in Pro Kabaddi Season 6 at the Shaheed Vijay Singh Pathik Sports Complex on Saturday. The first two Maharashtra Derbies of the campaign served up two of the most exciting games of Season 6, with both going down to the very last raid of the match. 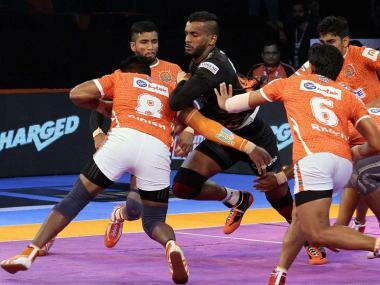 Puneri Paltan earned a draw in U Mumba’s final raid of the match in their first encounter in Chennai and triumphed over them in even more dramatic fashion with a Super Tackle on U Mumba ace Siddharth Desai in their home leg. U Mumba will want to level the scores when they meet Puneri Paltan in Greater Noida. Head-to-head: U Mumba 7-5 Puneri Paltan. 1 tie. U Mumba have been among the top teams in Pro Kabaddi Season 6 so far, losing just one of their seven fixtures. Their defence, offence, and even their substitutes have been contributing evenly to the team’s cause, making them one of the most dangerous outfits in the league. The only two fixtures that U Mumba failed to claim a victory in during this campaign were against rivals Puneri Paltan and they will be determined to set the record straight and, more importantly, close down the gap on the Zone A leaders to just three points. Puneri Paltan’s form this campaign, too, has been decent. They have won six of their 12 fixtures and are also the only team so far to win as many as three games in their home leg. They sit atop Zone A but have played five more games than second-placed U Mumba, making victory in this encounter even more crucial for the team. They will draw confidence from the first two Maharashtra Derbies and aim to go 13 points clear of second-placed U Mumba with a win. Fazel Atrachali has been at his dominant best in Season 6, scoring a team-leading 29 tackle points in seven games. The Left Corner has outfoxed and outmuscled raider after raider this campaign and led his team to five wins in seven games. His averages 4.14 tackle points, and is one among only three players who average more than four tackle points per game. 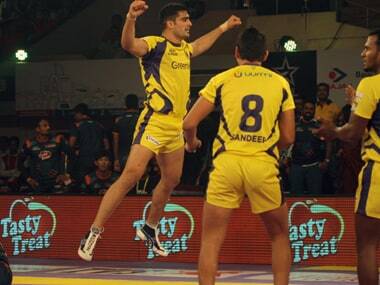 Nitin Tomar’s outstanding campaign has seen him stay atop the scoring charts so far in Pro Kabaddi Season 6. While his average of 9.09 raid points in Season 6 is impressive on its own, the Maharashtra Derby has seen him elevate his game to another level. In the previous two games, Tomar has scored 28 raid points at an astonishing average of 14 raid points a game. It is safe to say that, the bigger the occasion is, the better Nitin Tomar performs.